In this episode, Spencer chats with James Reynolds from Dubai. James runs a service company offering SEO and Social Media services to businesses. One of the key strategies James found that help them grow their business is creating a laser focused offer for your customers instead of trying to be/do everything. 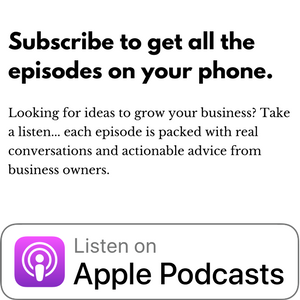 Listen in while James and Spencer share some tips on how you can grow your business as well. Interviews with business owners about what it takes to run and grow a business.